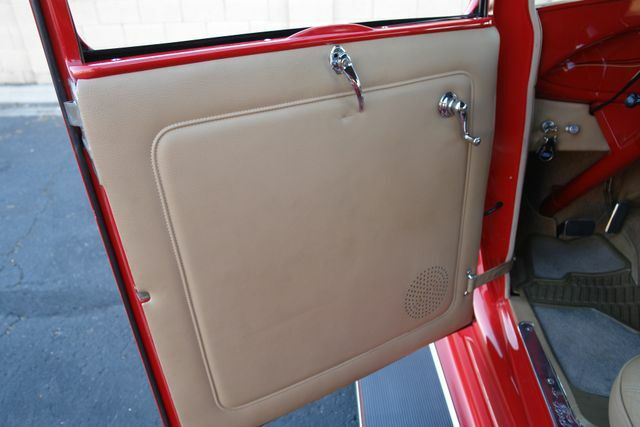 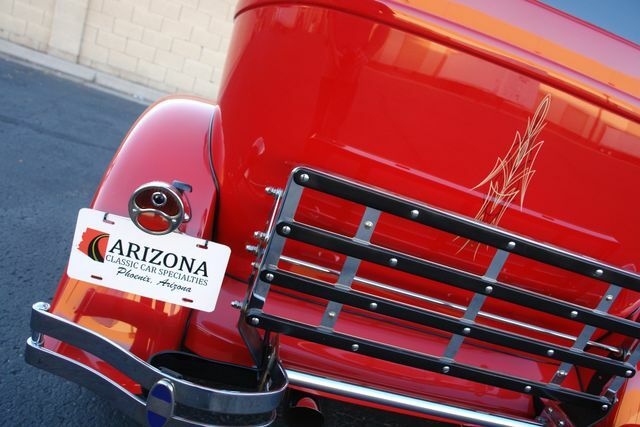 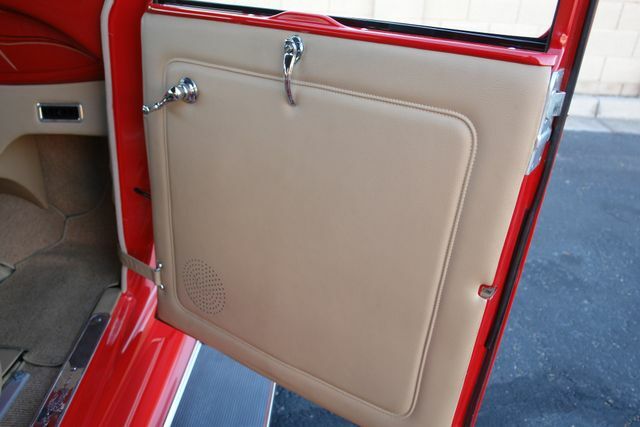 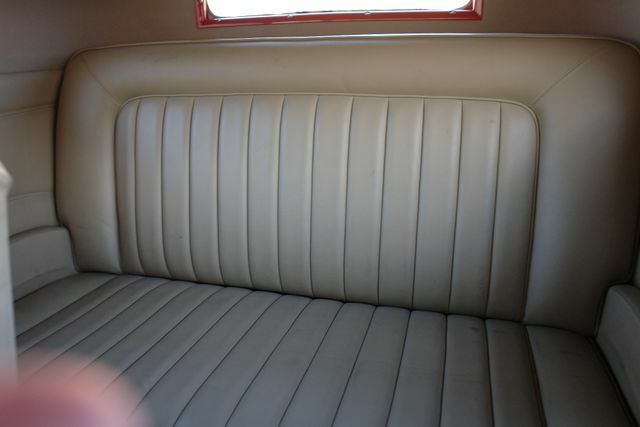 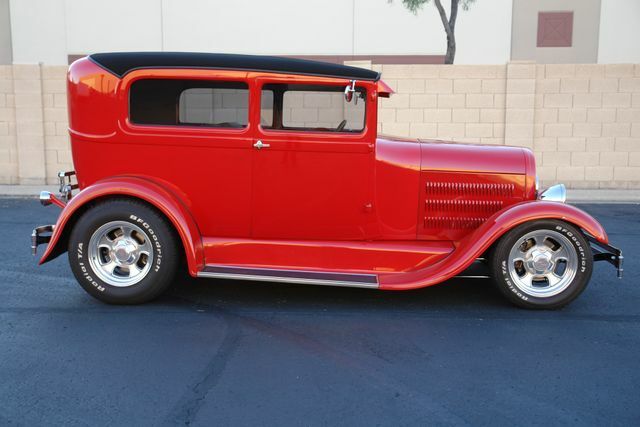 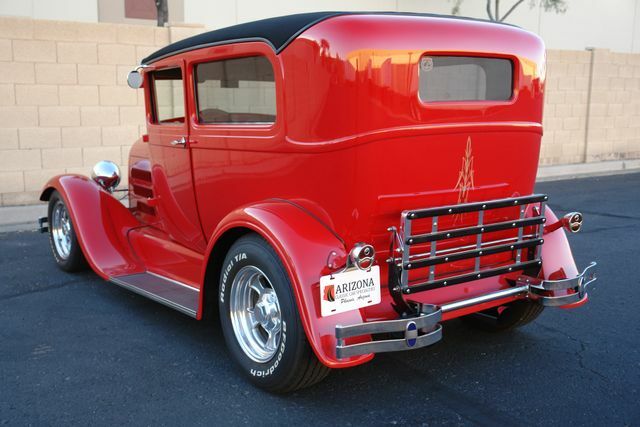 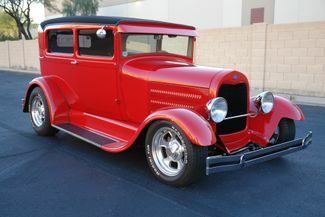 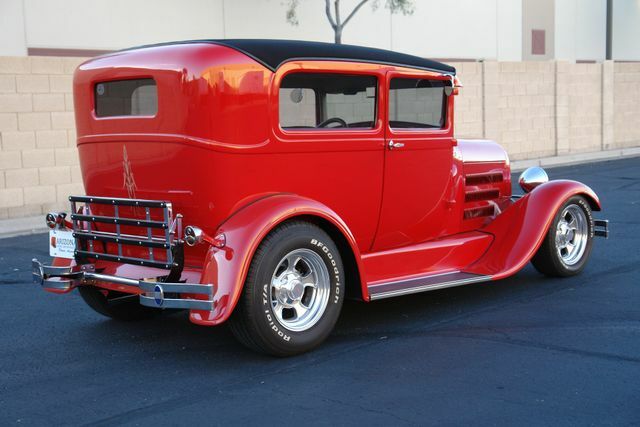 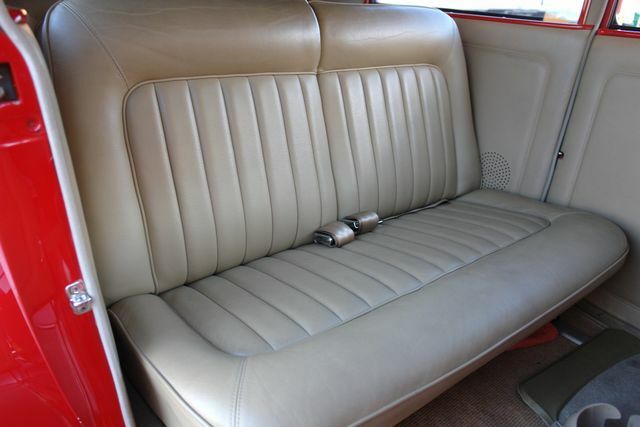 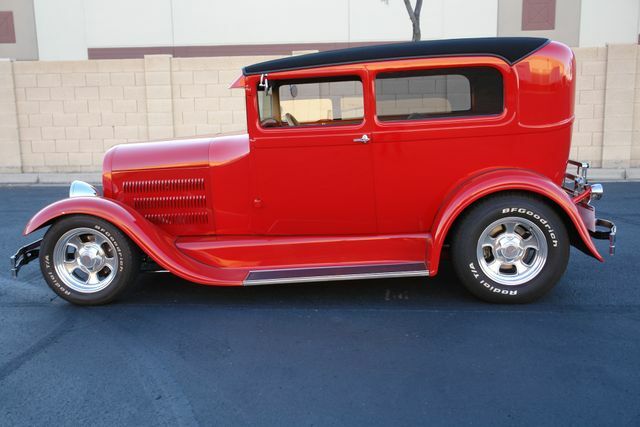 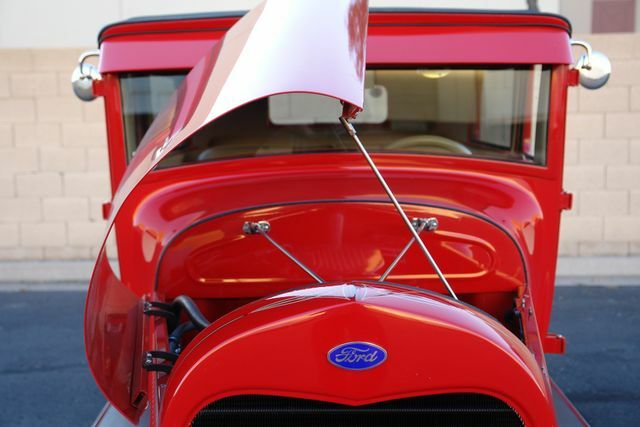 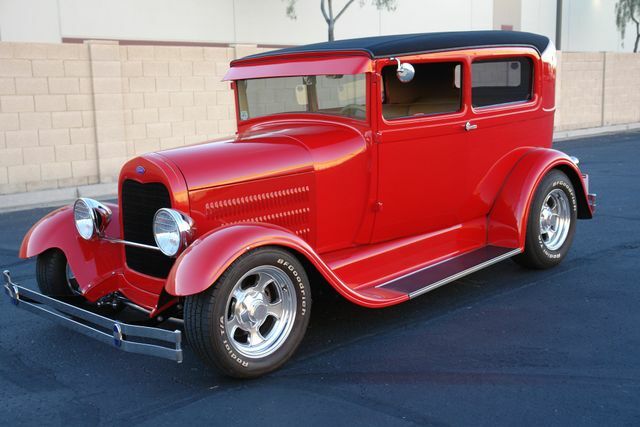 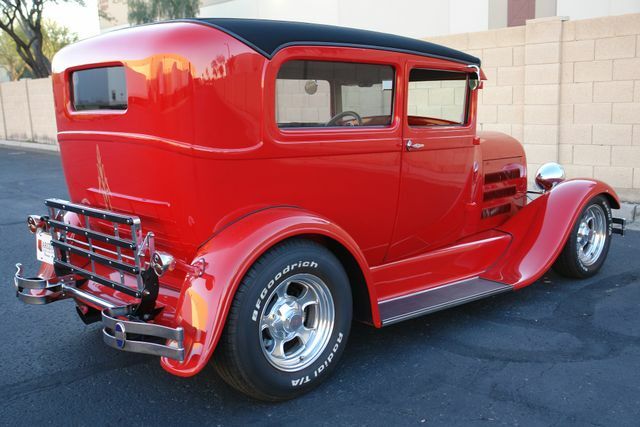 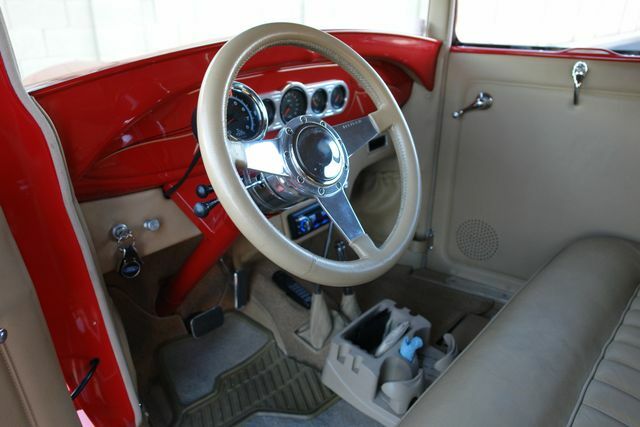 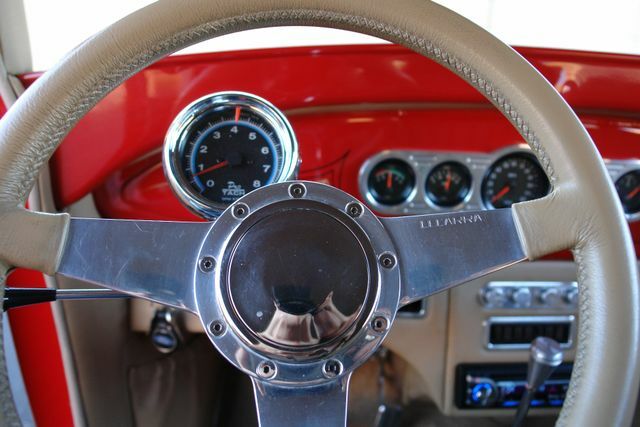 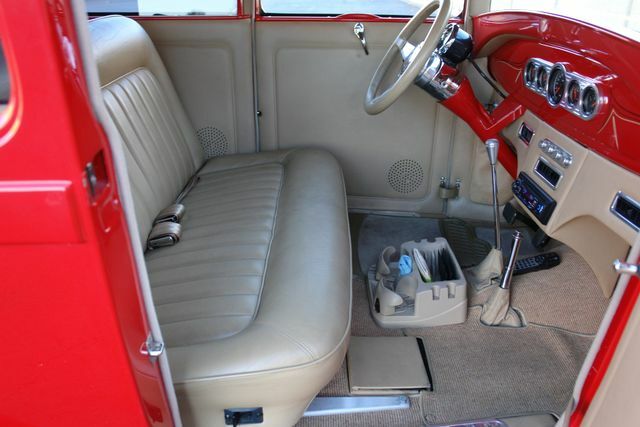 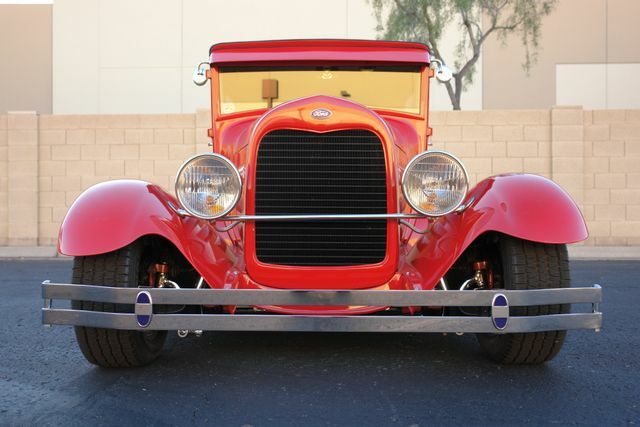 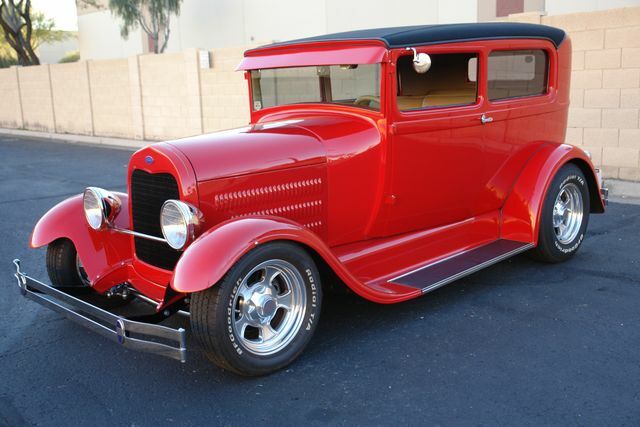 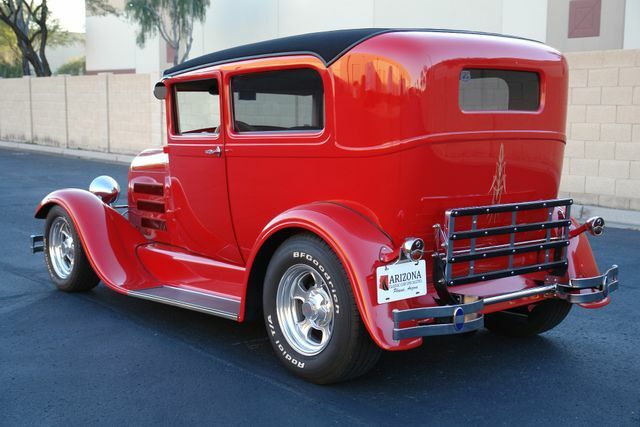 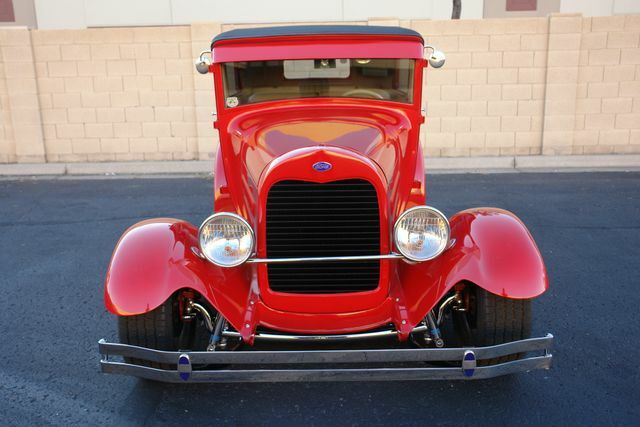 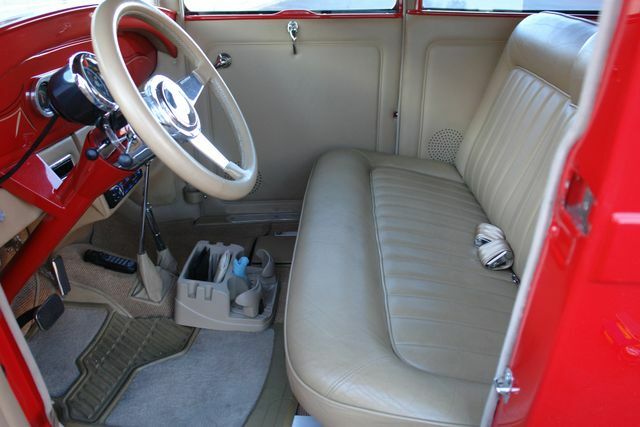 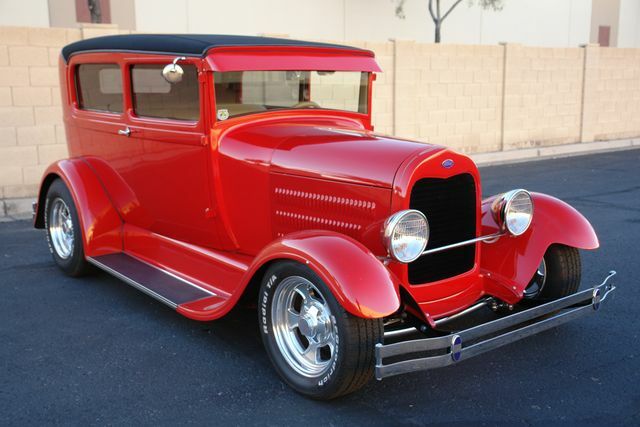 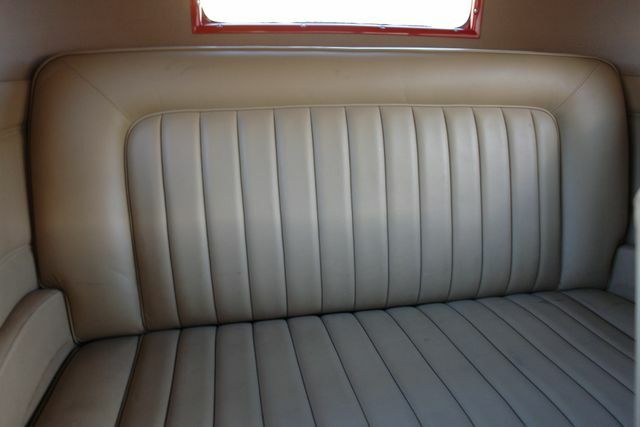 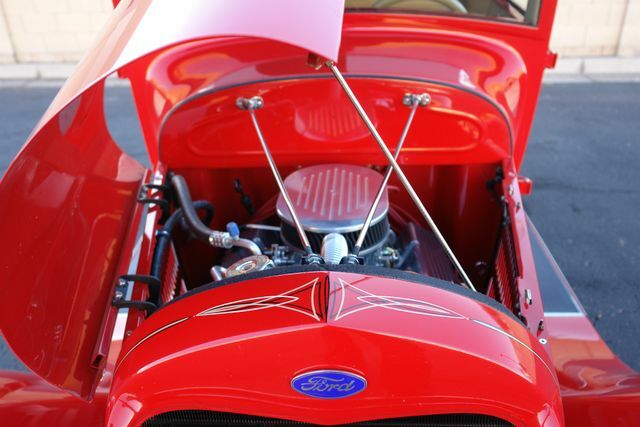 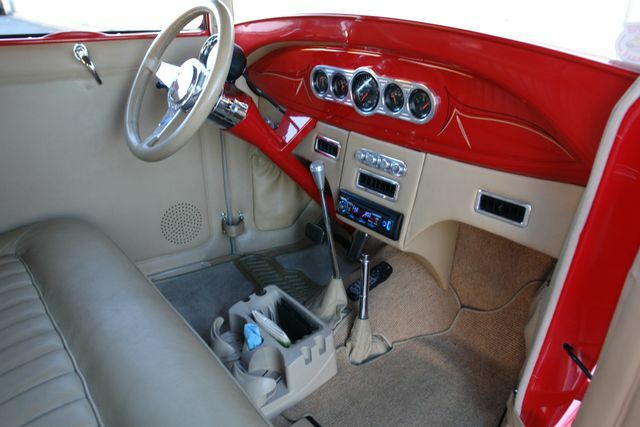 Arizona Classic Cars Sales is thrilled to offer this 1929 Ford Model A 2 door sedan with less than 800 miles. 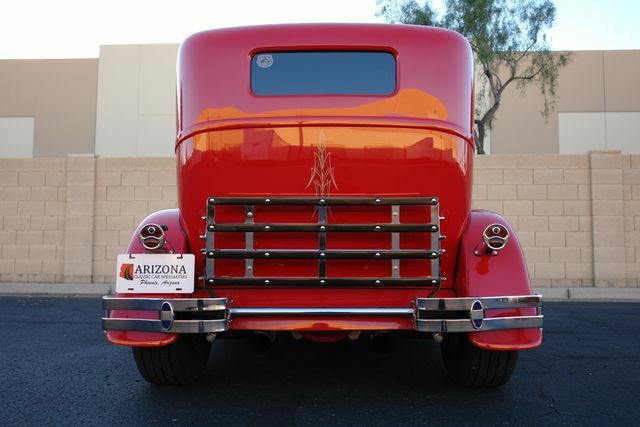 Built by Henry Caranza. 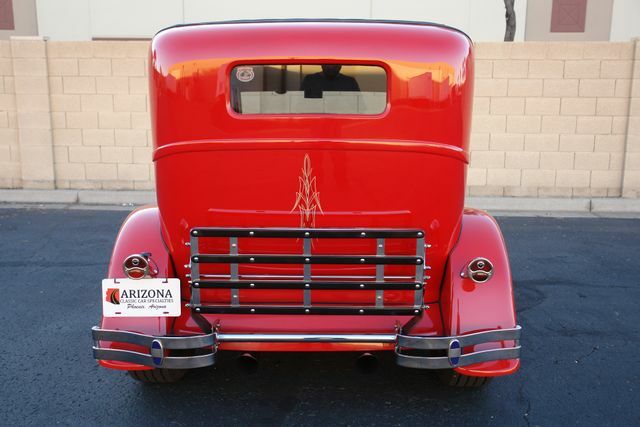 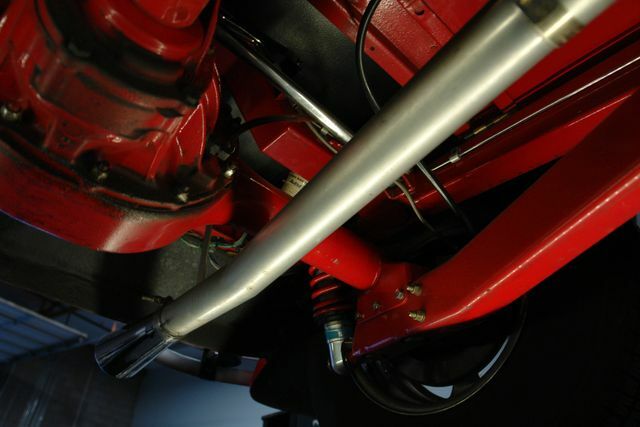 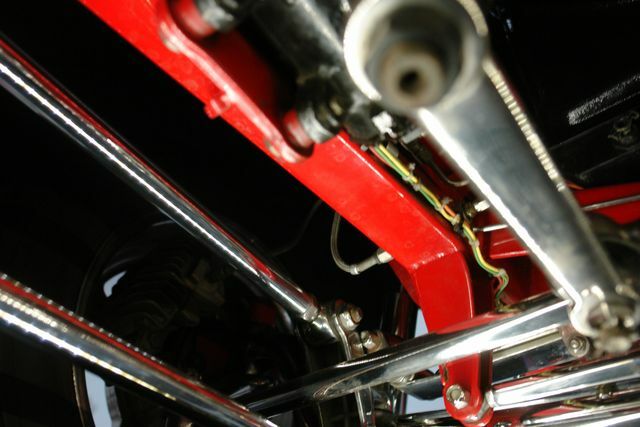 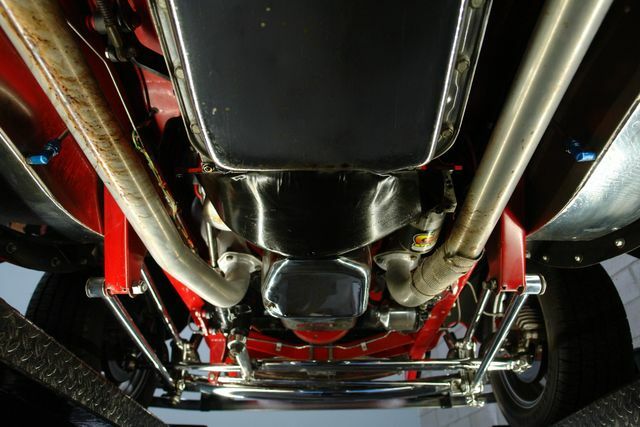 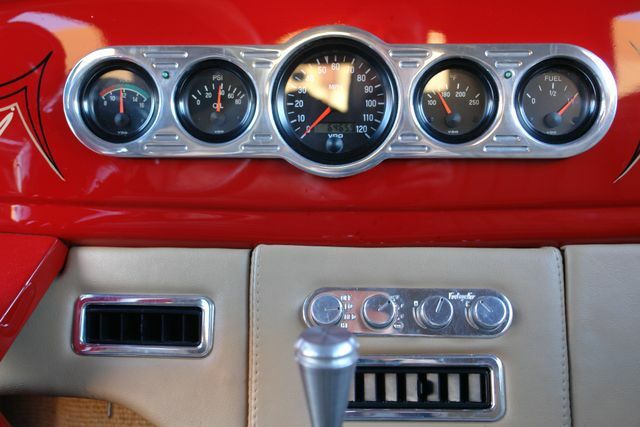 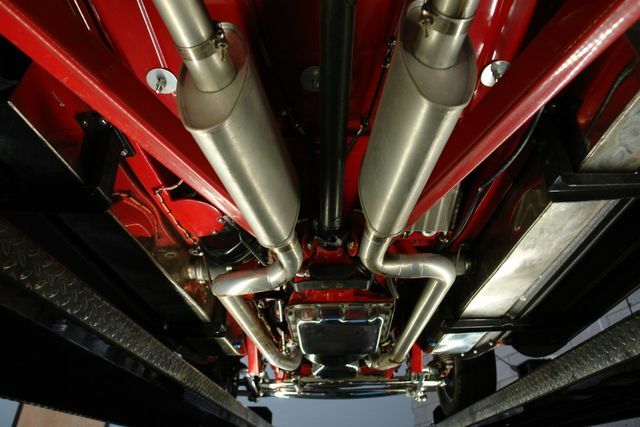 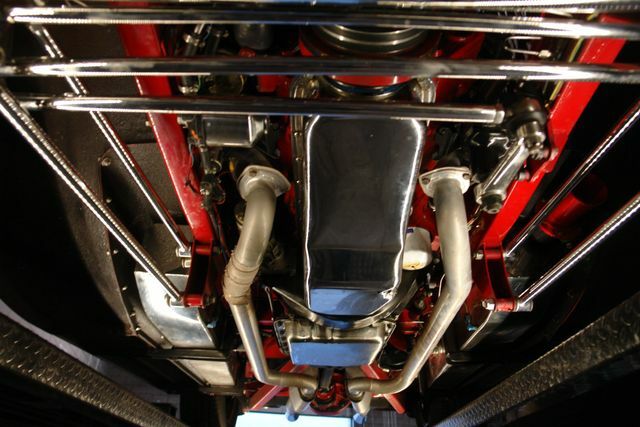 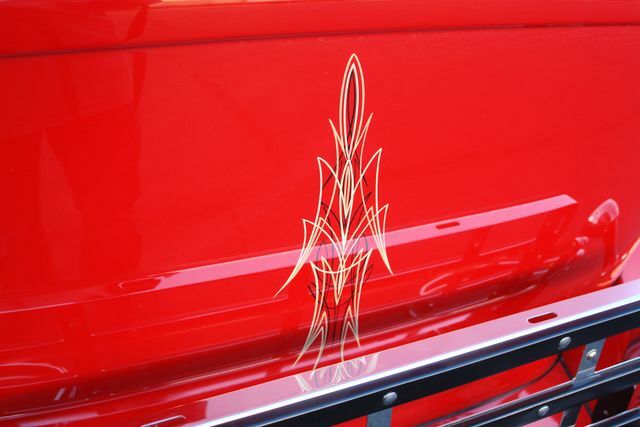 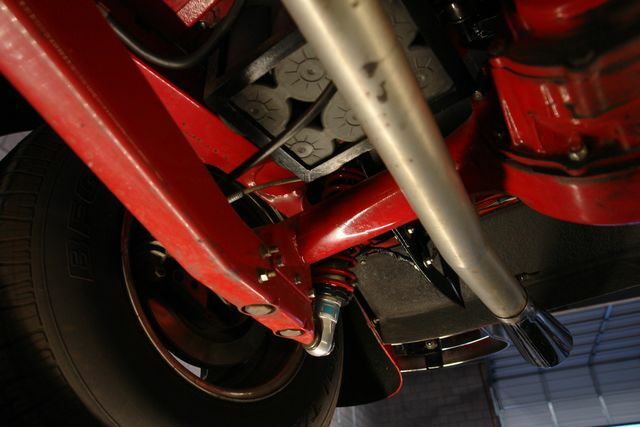 Custom red paint Polished stainless steel saddle tanks, TCI Chassis, 2 inch chop top, Steel body and floor board, glass fenders. 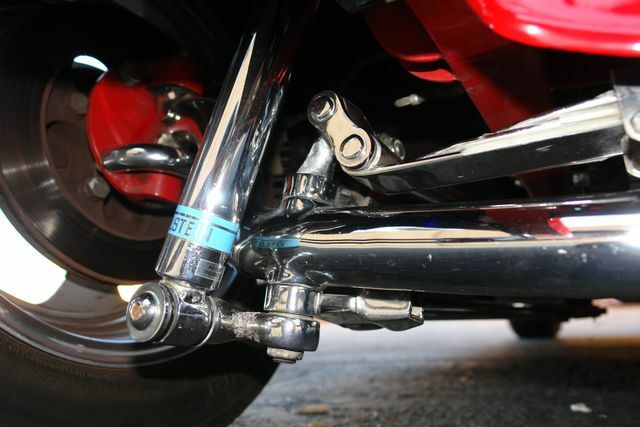 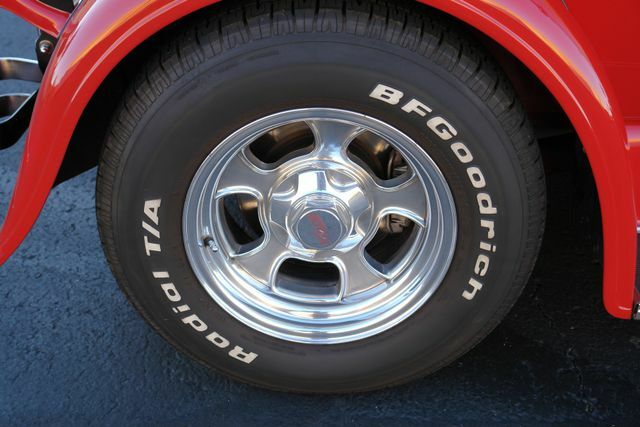 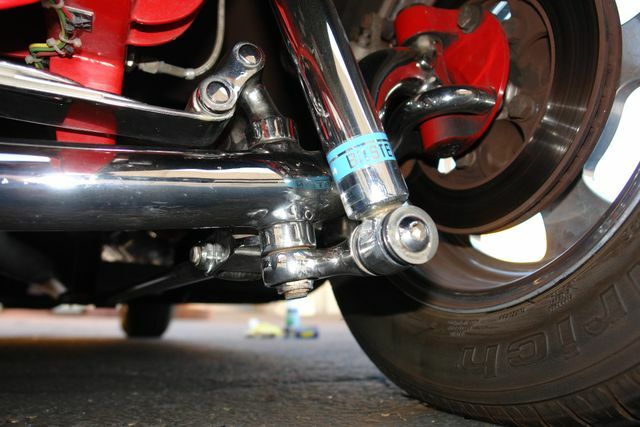 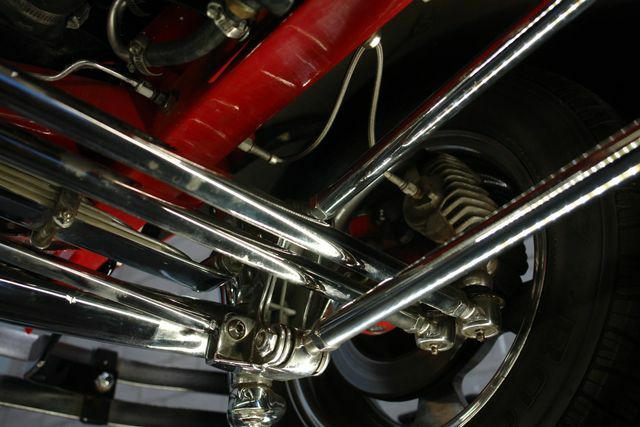 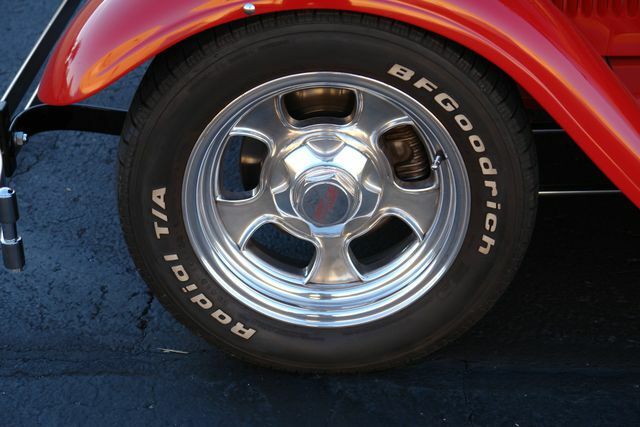 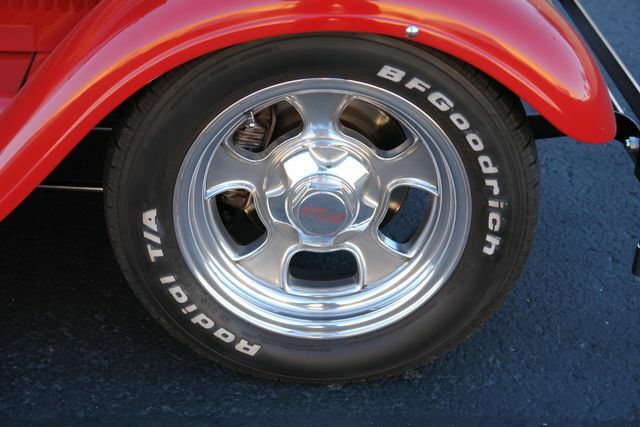 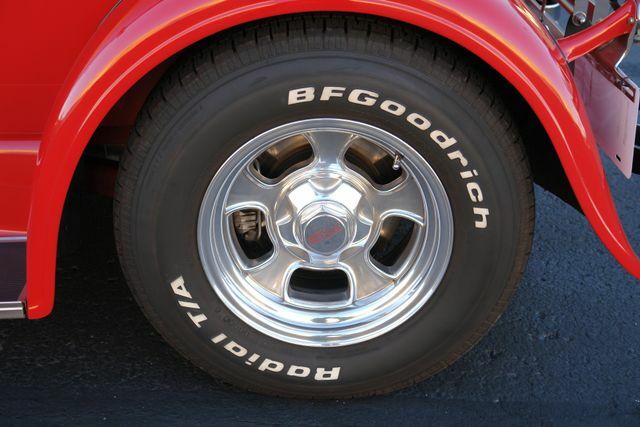 Boyd vintage wheels with 88H BF Goodrich tires, 4 wheel disc brakes w stainless steel lines. 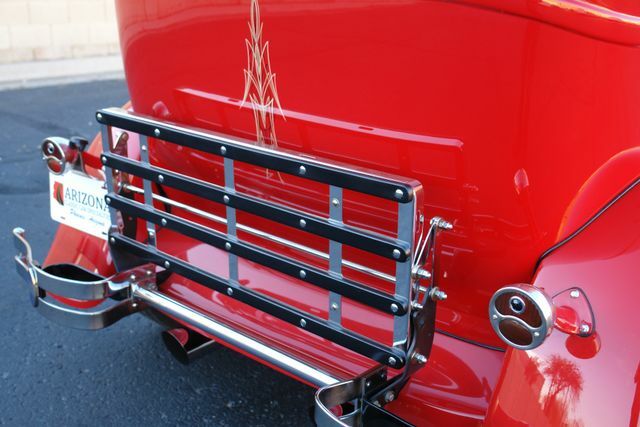 Walker radiator with built-in condenser for air condition. 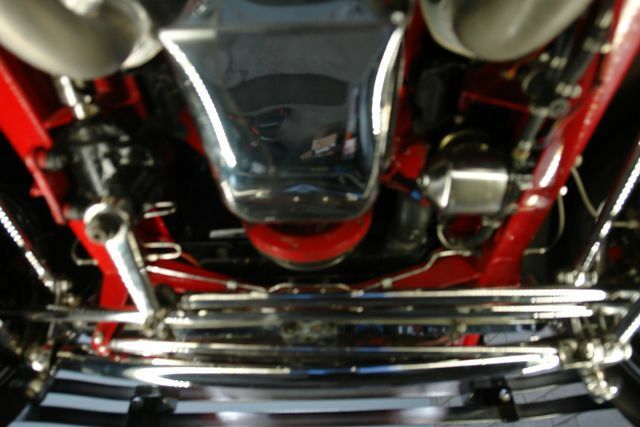 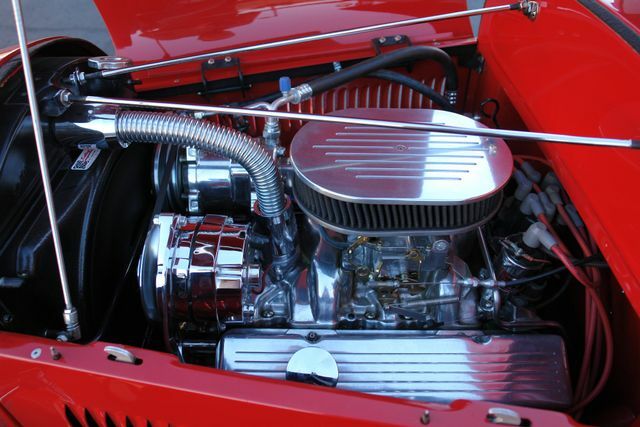 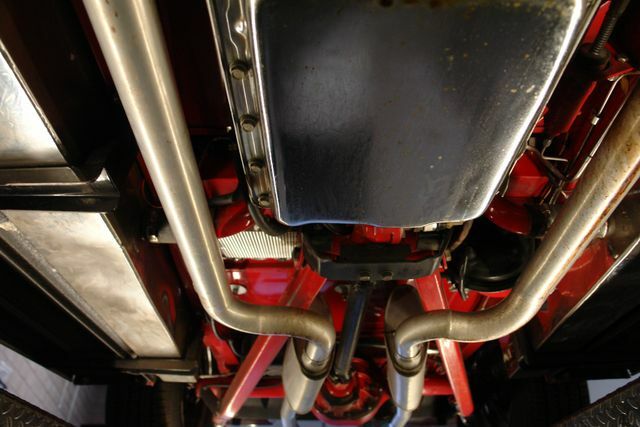 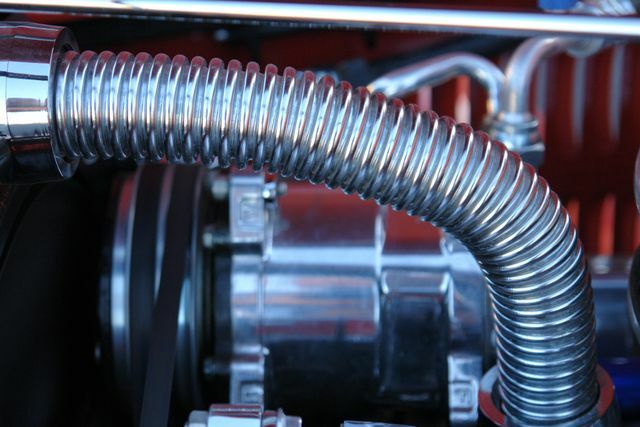 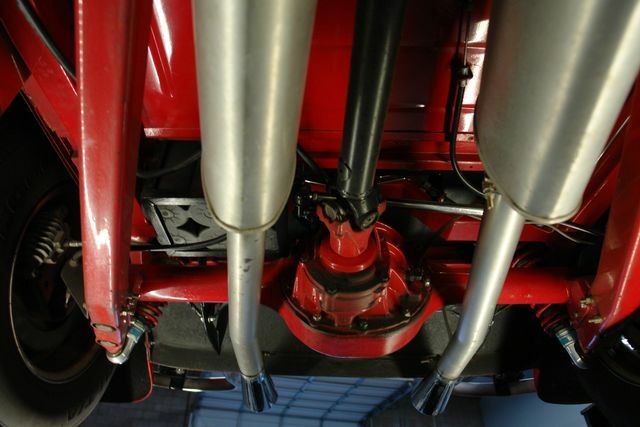 350 engine with 700R Trans. 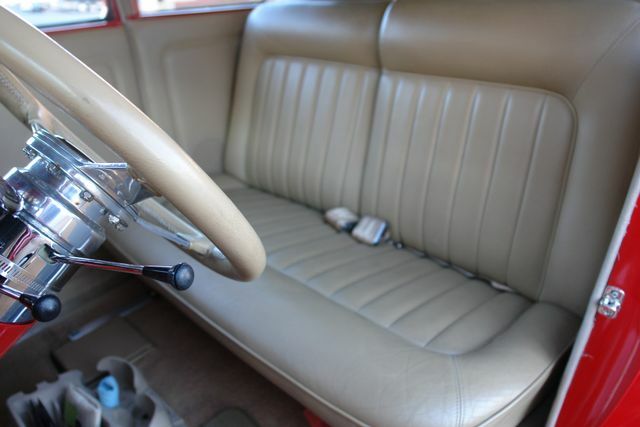 Tilt wheel, tan leather.